I adored this one from the first. Though the title text is a little bland for the feeling of it (maybe it'd have been better in dark sepia, or slightly translucent? ), the rest of the cover SCREAMS old-timey-horror-photo. I could picture this somewhere in the middle of those creepy old Halloween photos going around Buzzfeed. Deeply horrifying is right. The tilt, the grittiness, the vague horizon and uncertain background...it all sets an atmosphere that chills. I can only hope that the book (a House of Usher revamp) is just as eerie. Speaking of eerie, let me introduce you to one of my favorite covers: Hurt, originally by the Nine Inch Nails, covered by Johnny Cash. (NO, not the other way around.) It was one of his last recordings before his death and you can feel the chillingness in every rasp of his breath. It's a cover just as good as the original, with quiet power instead of the industrial rasp of Trent Reznor. 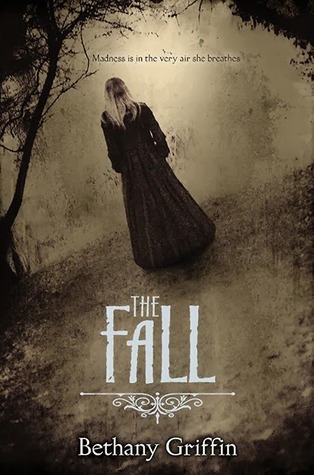 I have this on my TBR list... that cover is just sooo creepy and it seems fitting for its blurb... I'm really looking forward to reading this one! ooooh this one sounds good. I'll will keep it in mind when I am in the mood for a creepy read!